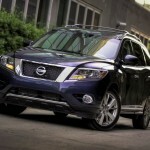 Pathfinder used to be a small, then midsize SUV, and after 2012 and beginning of a fourth generation, it became a midsize crossover. 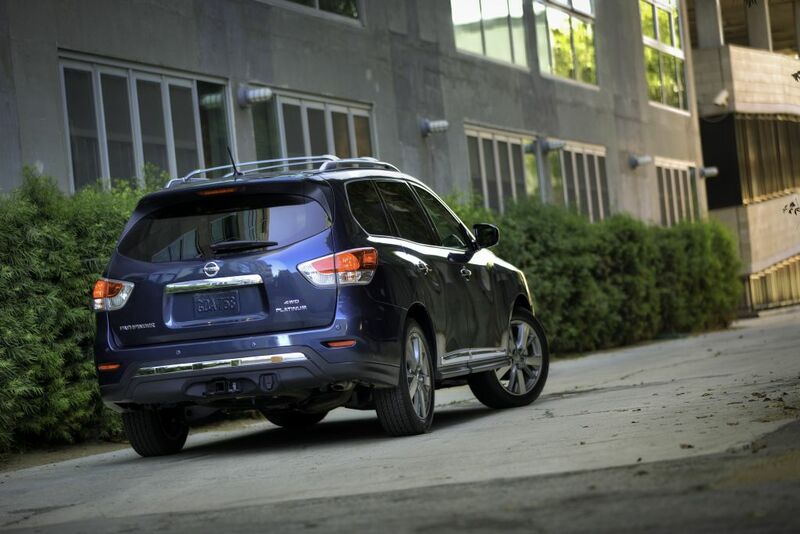 Being one of the most carlike wagons around, Pathfinder shows great versatility in seating up to eight passengers, but its off-road capabilities are now gone. 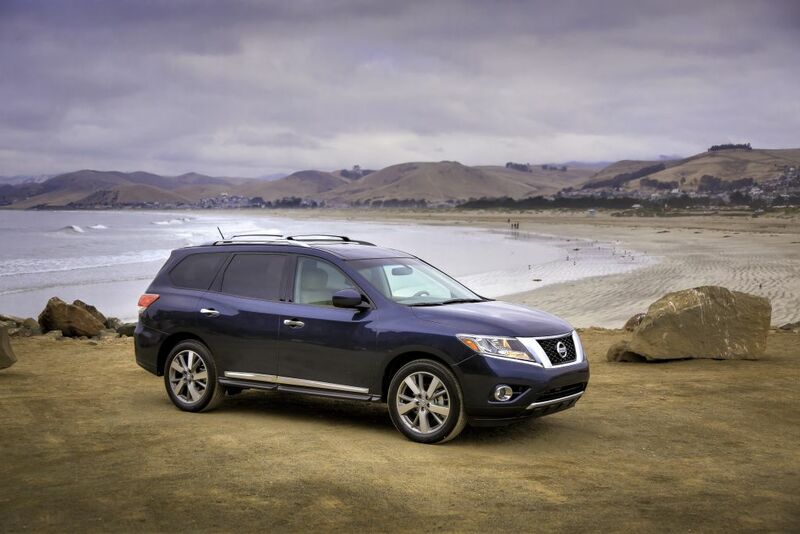 2015 Nissan Pathfinder is a great choice for large families as it offers smooth silent ride for seven or eight passengers and plenty of available tech features. 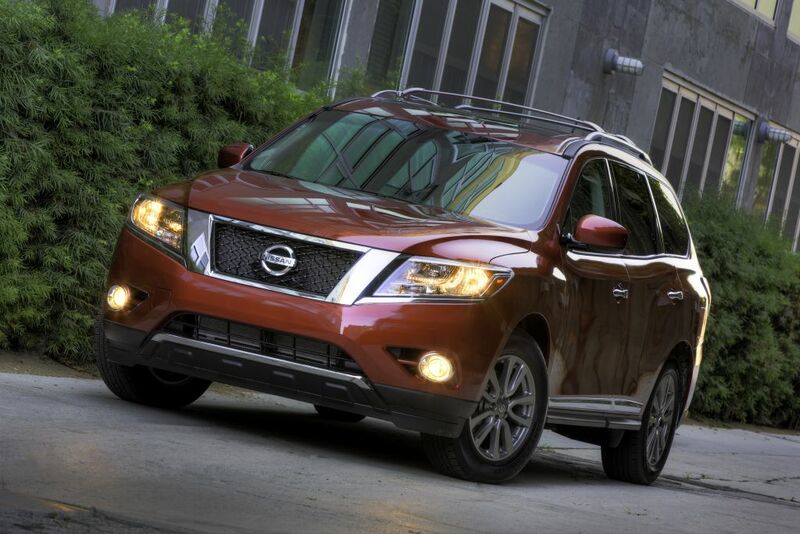 Fuel efficiency is solid, but Nissan Pathfinder 2015 also offers hybrid model whose numbers are even better. It has to be said that 2015 Nissan Pathfinder looks much better as a crossover than as a boxy SUV. 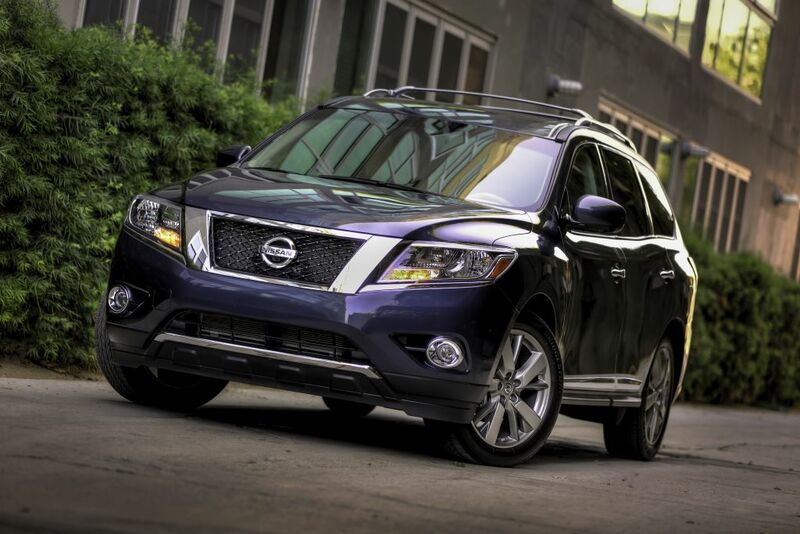 Unchanged for 2015, it still has Nissan’s V-motion chrome-bound grille and hood which are nicely rounded off by angular headlights. Chrome parts can also be seen in the scuff plates and in rear bumper, as well as in chrome garnish above the license plate inlet. Comparing to outgoing model the new Nissan Pathfinder 2015 7 passenger crossover is available in 8 different colors: Midnight Jade, Java Metallic, Gun Metallic, Pearl White, Magnetic Black, Cayenne Red, Brilliant Silver and Arctic Blue Metallic (Dark Slate, Mocha Stone, Moonlight White and Super Black no longer available). 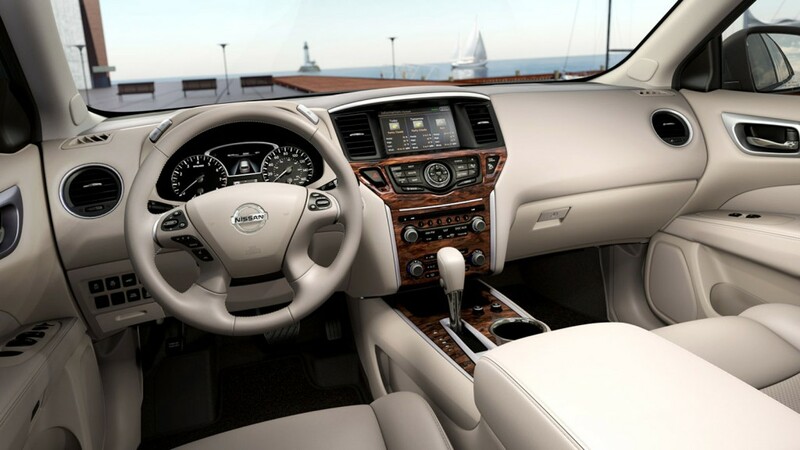 Inside, Nissan Pathfinder 2015 comes with plenty of different options, from cloth to leather seat upholstery and door inlets to heated front and rear seats. 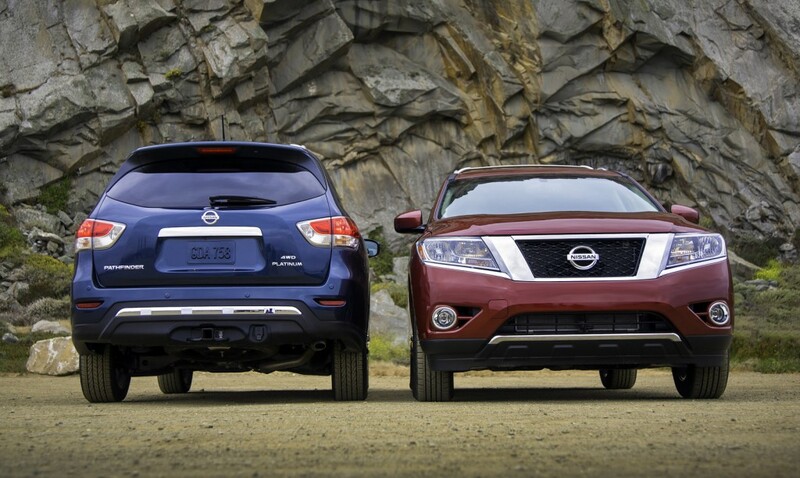 Three rows of seats fit some mid-size crossovers perfectly and that’s the case with Pathfinder too. 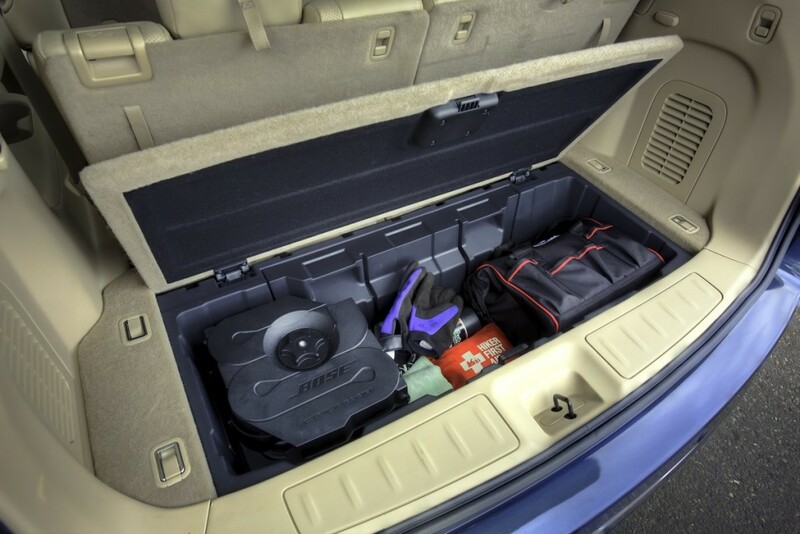 Clever folding second and third row make it a great option for cargo moving. Dashboard has an instrument panel which is almost completely wrapped in wood. 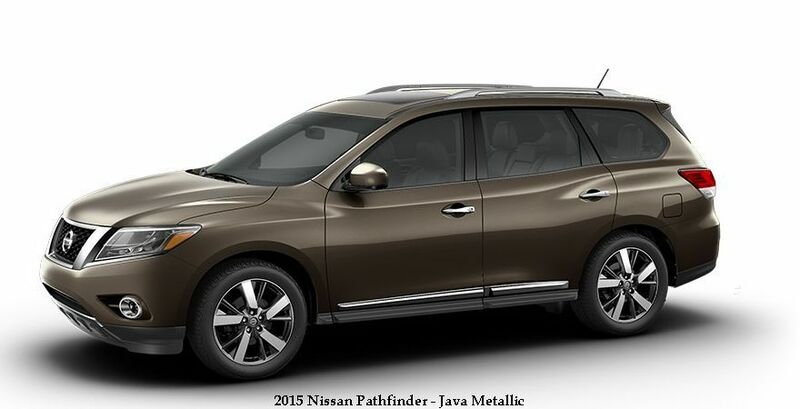 From SV to SL Premium, all 2015 Nissan Pathfinder models get the 7-inch QVGA color monitor, while couple of Platinum models comes with 8-inch VGA touch-screen monitor which has hard drive and navigation system. Only the top Platinum Premium models get the tri-zone entertainment system with dual head-restraint-mounted 7-inch monitors, remote control and two wireless headphones. 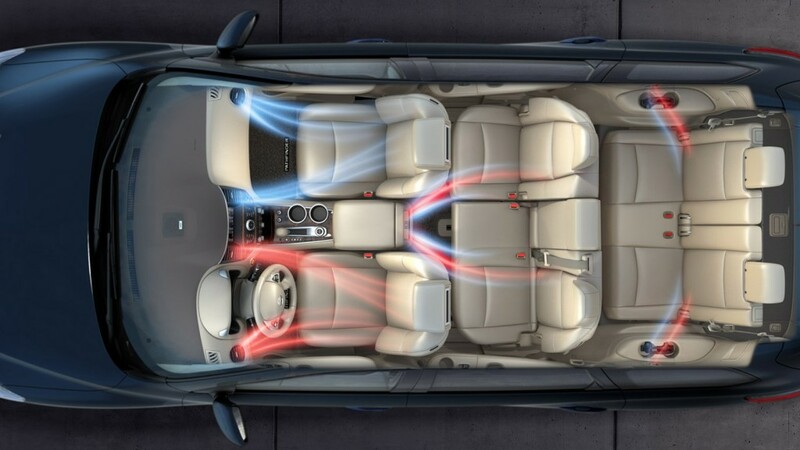 These can be utilized over 13 Bose premium speakers which are also available in SL models and standard from SL Premium onwards. A rearview camera and rear sonar parking sensors are standard across the most of the lineup, while SL models and those above benefit from blind-spot monitoring and rear cross-traffic alerts. 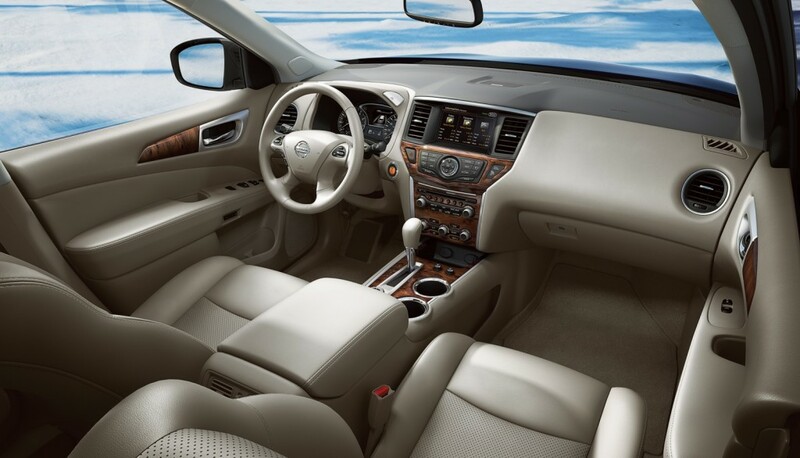 Only standard in Platinum models is a 360-degree camera view. 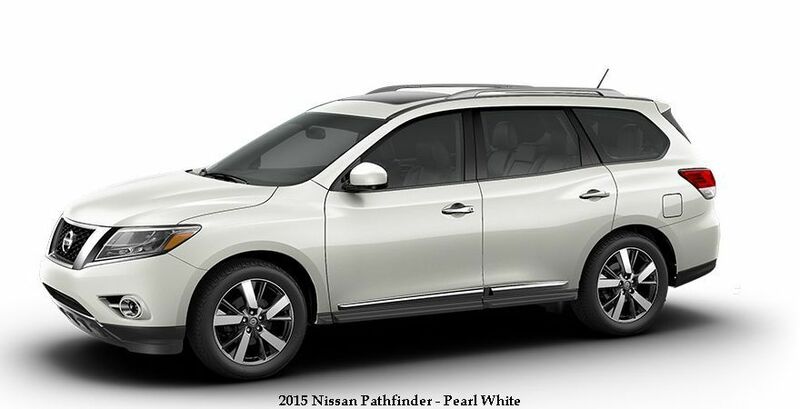 S, SV, SL, SL Premium, Platinum and Platinum Premium make plenty of options for buyers of 2015 Nissan Pathfinder to choose from. What might be a downside is the fact that it comes with only one option under its hood. However, this 3.5-liter V6 works smoothly and quietly and it puts up 260 horsepower and 240 lb-ft of torque. 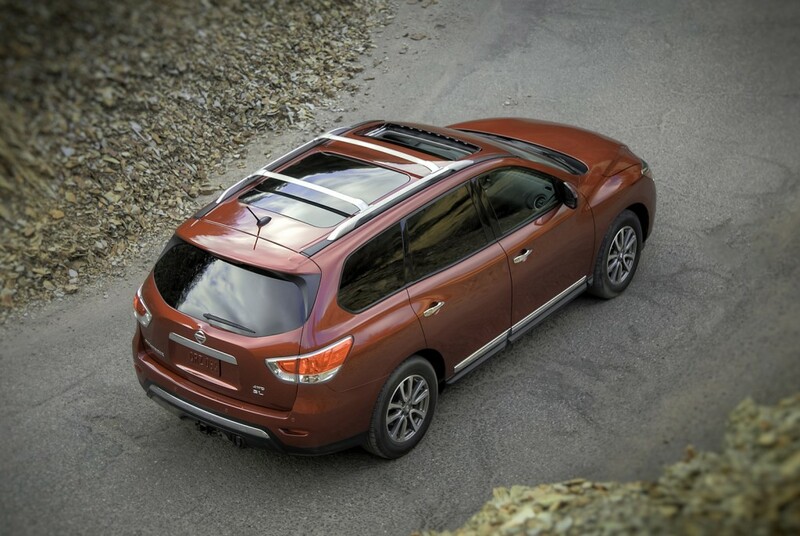 While all models get the standard front-wheel drive, they can also get the optional all-wheel drive configuration. Sadly, just like the powertrain, transmission is also fixed and you can only get Xtronic CVT gearbox. 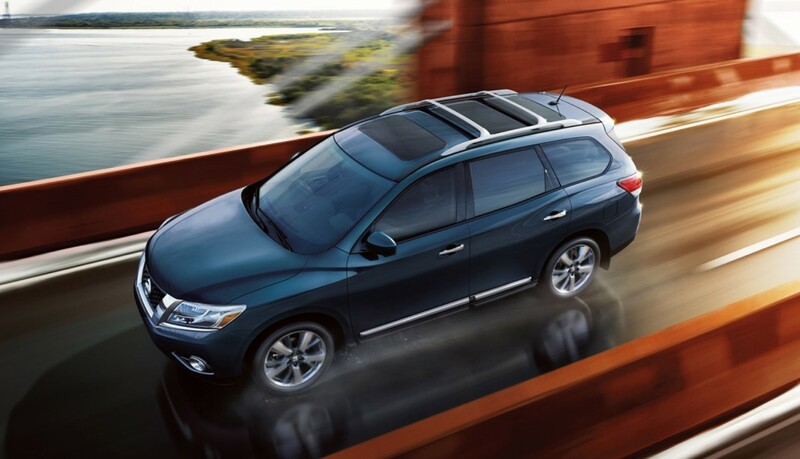 The Nissan Pathfinder 2015 is rated at 20 mpg in the city and 26 mpg on the highway with front-wheel-drive, while optional all-wheel-drive lowers the ratings by a point in both categories. 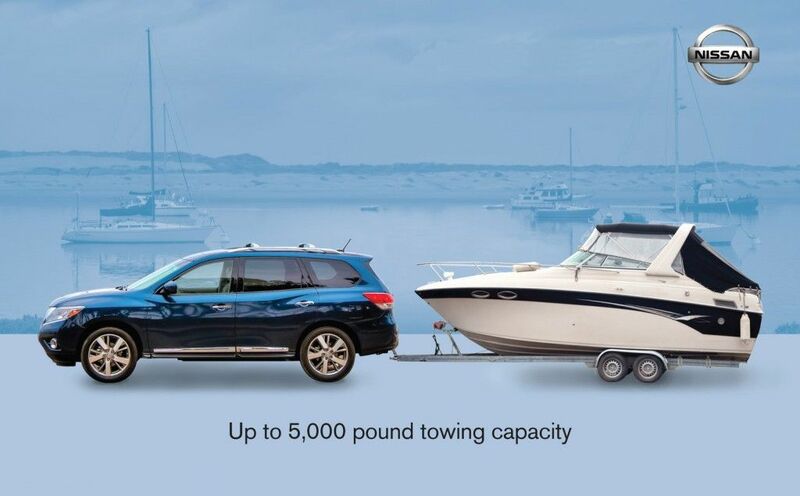 When properly equipped 2015 Nissan Pathfinder towing capacity is respectable 5,000 pounds. 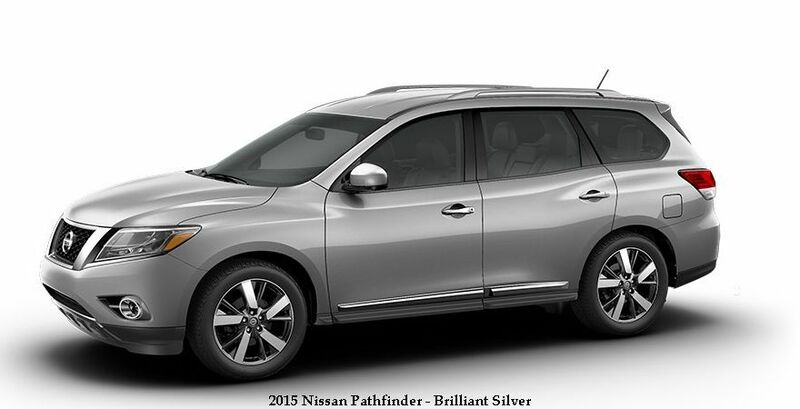 This Nissan 7 passenger crossover isn’t exactly cheap vehicle and you’ll have to pay at least $29,210 to get a hold over one of these. On the other end of the scale, Nissan Platinum 2015 Premium model costs at least $42,250.